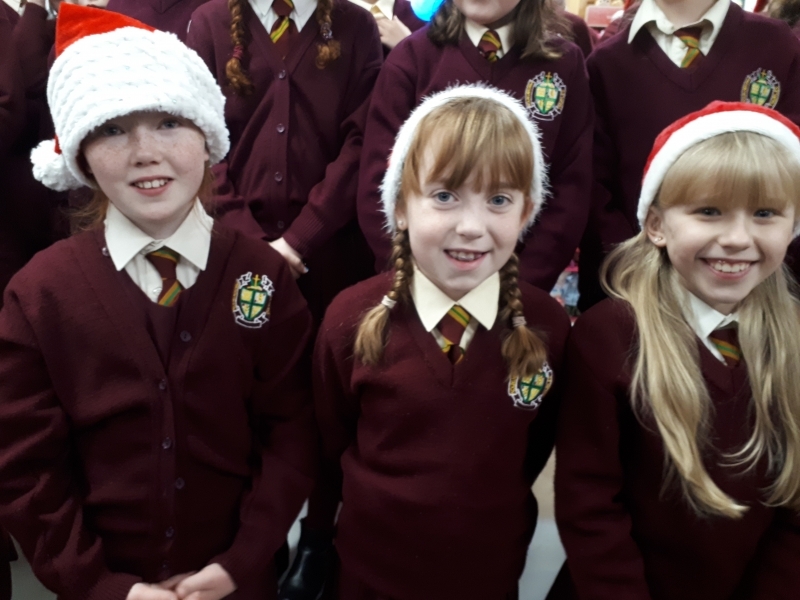 It’s beginning to feel a lot like Christmas!! 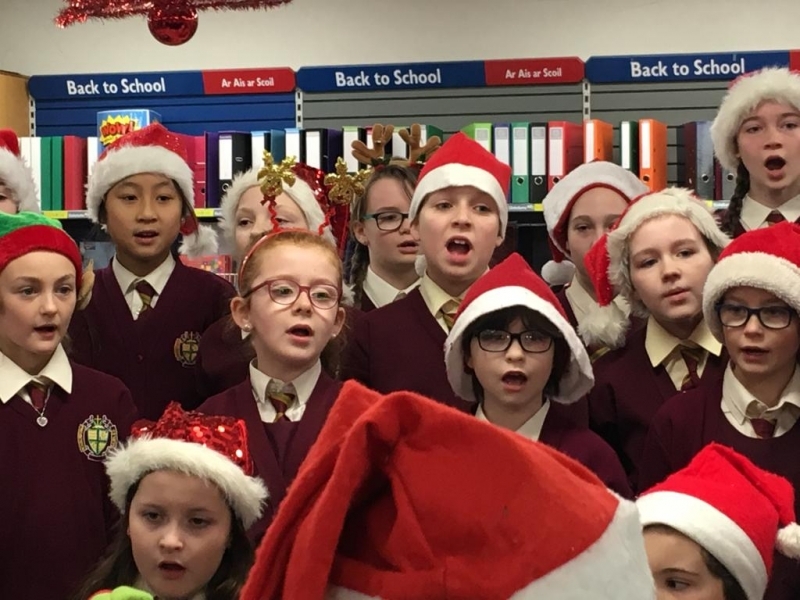 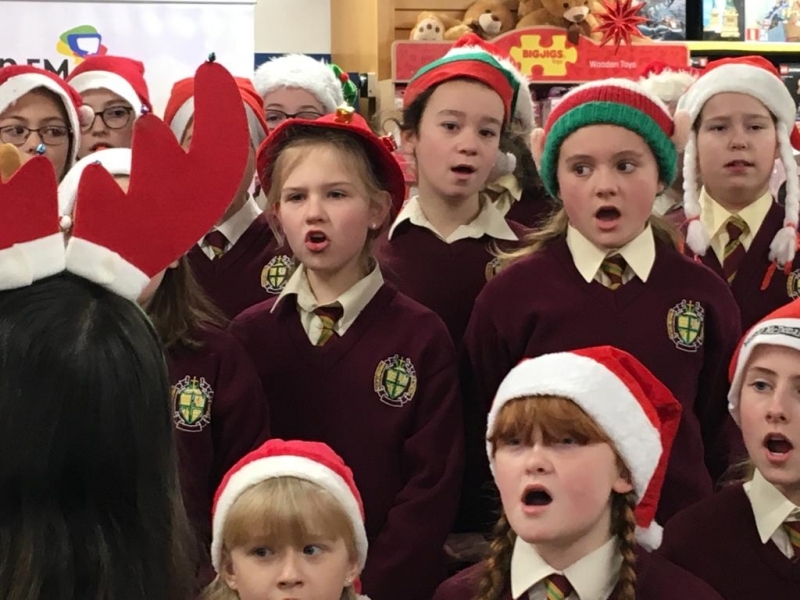 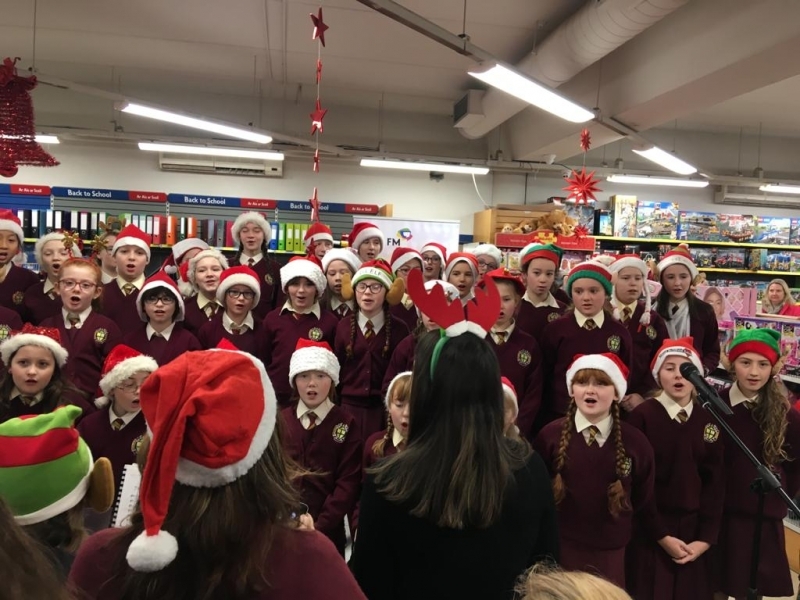 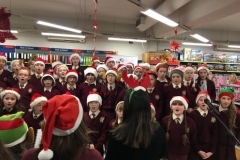 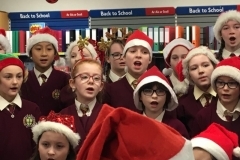 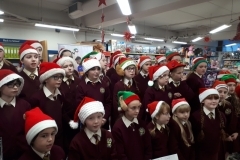 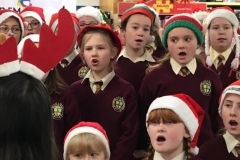 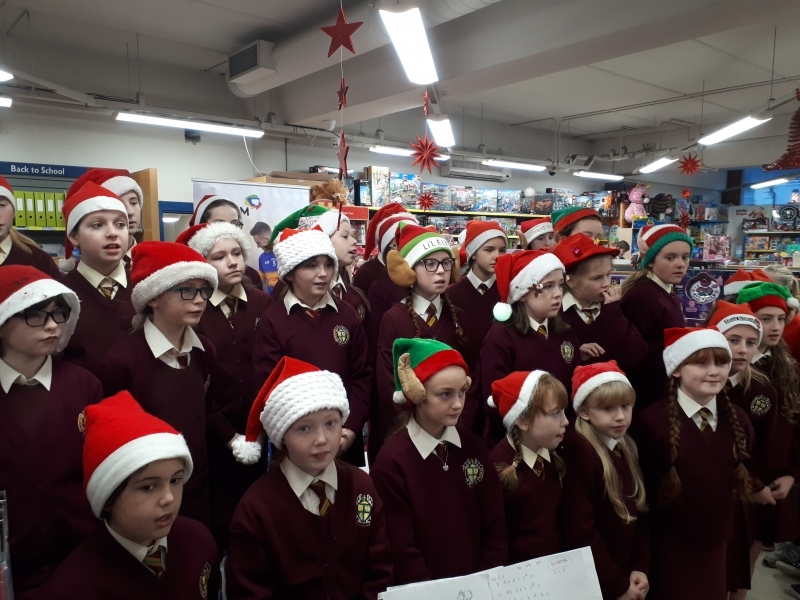 Well done to the 40 girls who sang so beautifully live on the Tipp FM Christmas Breakfast Show in Stakelum’s Office Supplies on Friday morning. 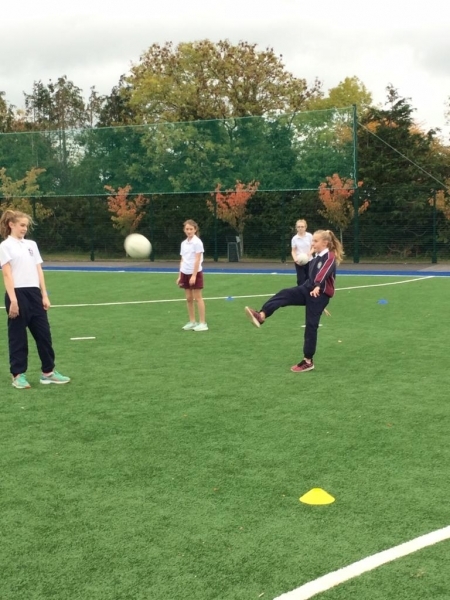 The girls were treated to a fun-filled morning which seemed to kick start the festive season for all present. 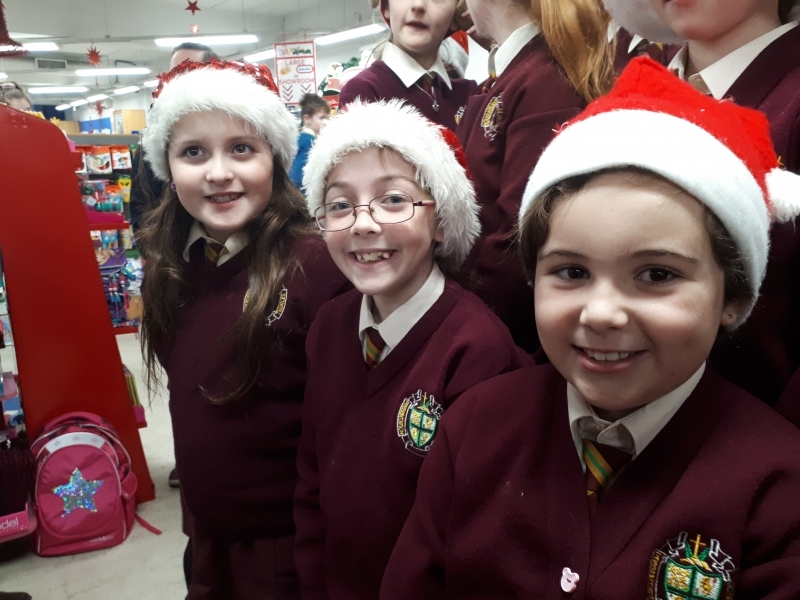 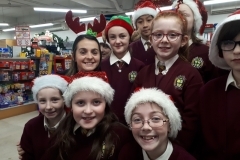 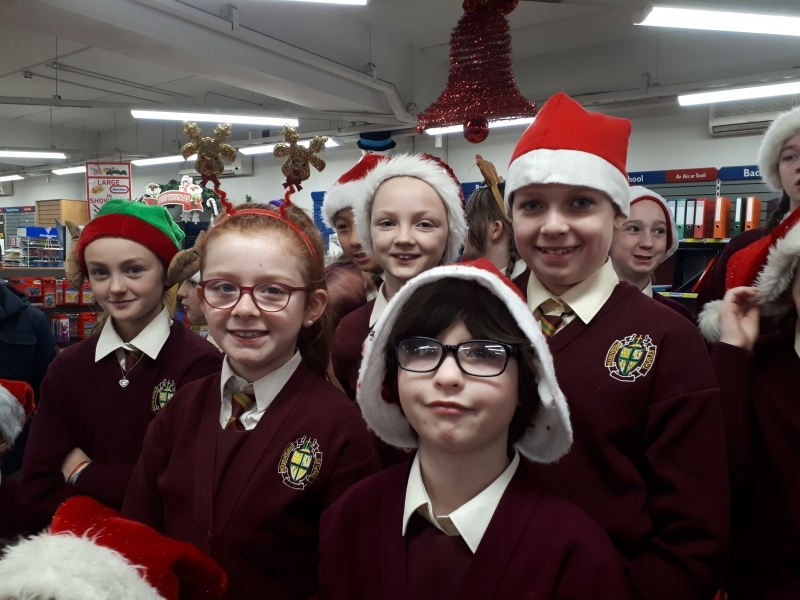 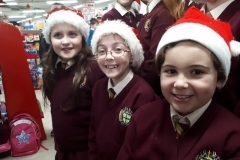 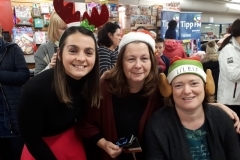 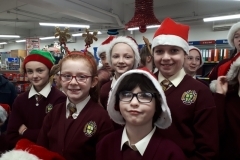 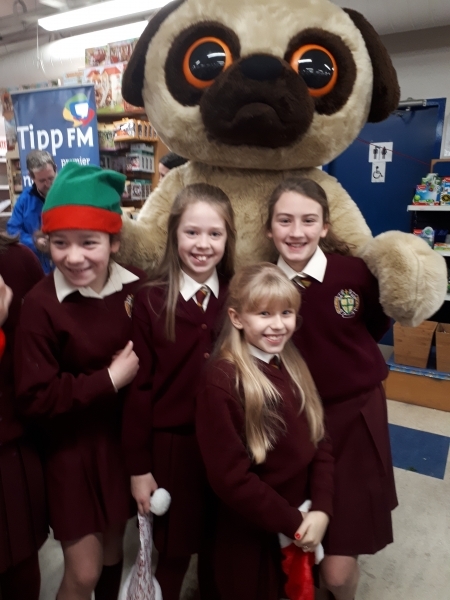 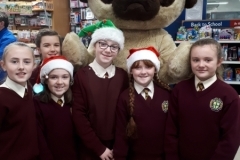 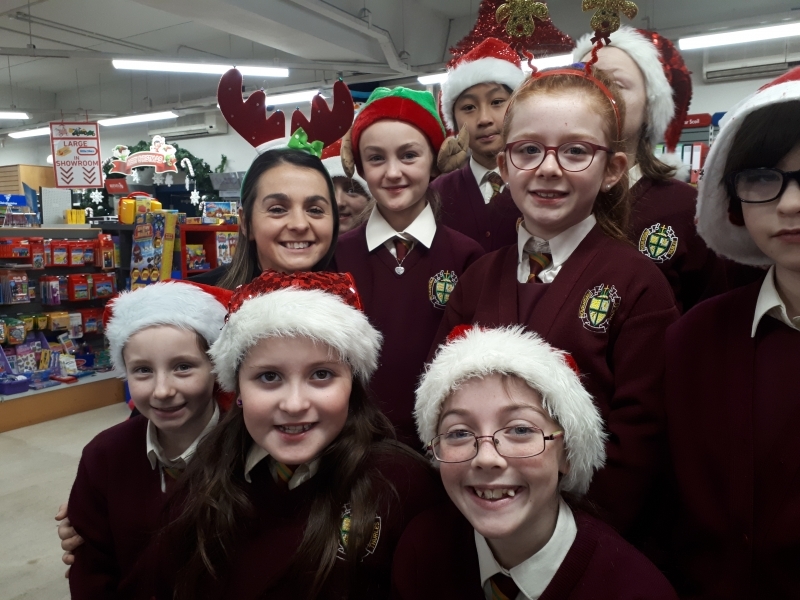 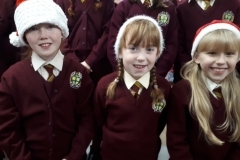 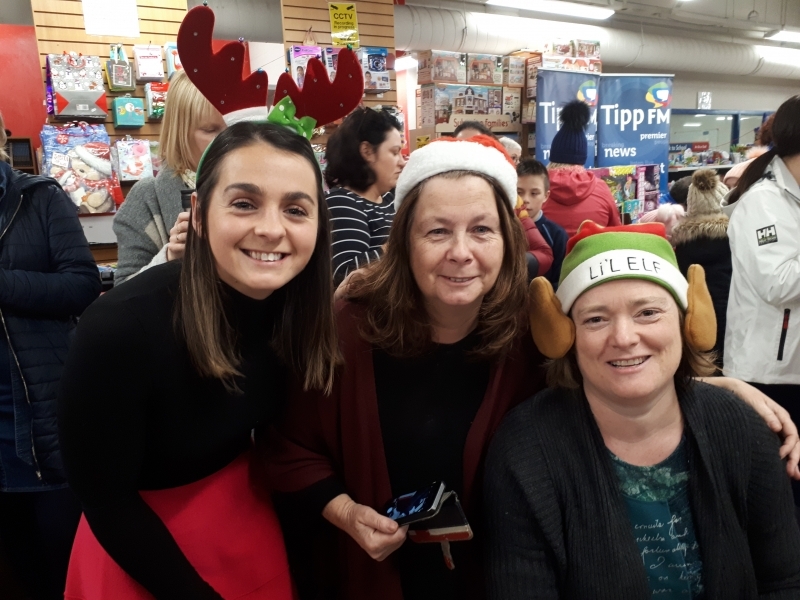 The girls, led by Ms. Lorna Healy, Mrs. Margaret Healy and on keyboard by Mrs. Mary Everard, sang three songs live on air as Tipp FM talked about some of the most popular toys to appear on Santa’s list for this Christmas. 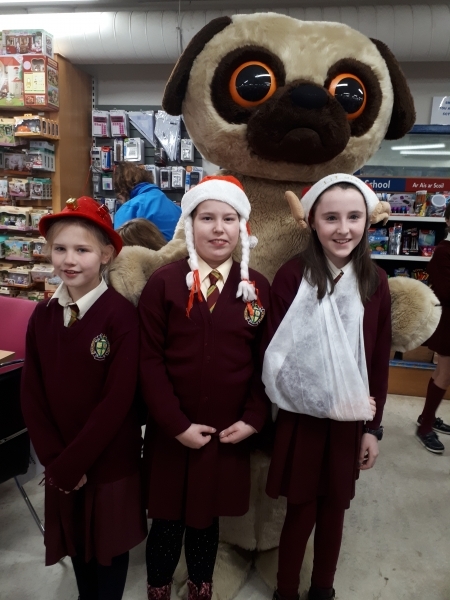 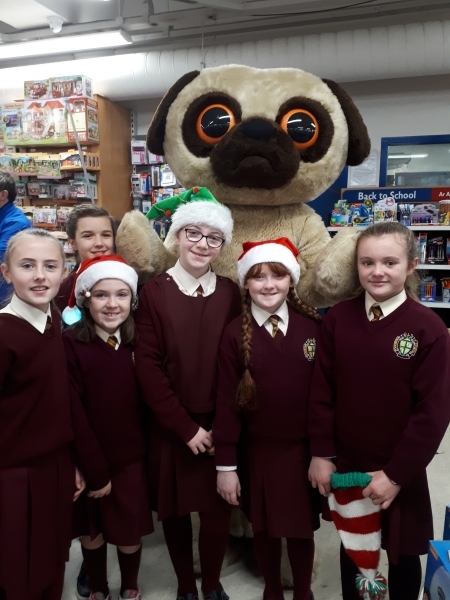 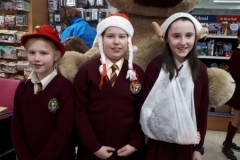 The girls were each given a very generous bag of treats by Stakelum’s Office Supplies and skipped back to school happy in the knowledge that they had represented their school very well and brought to Christmas spirit to the whole of Tipperary. 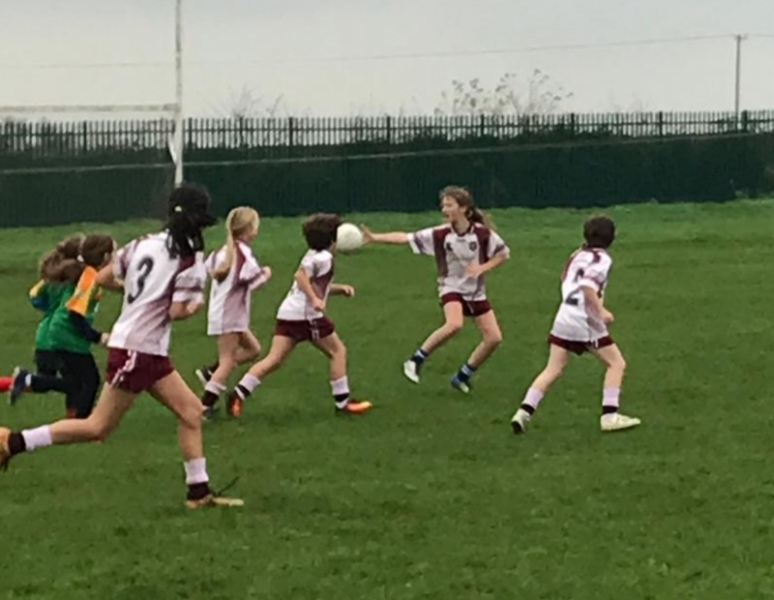 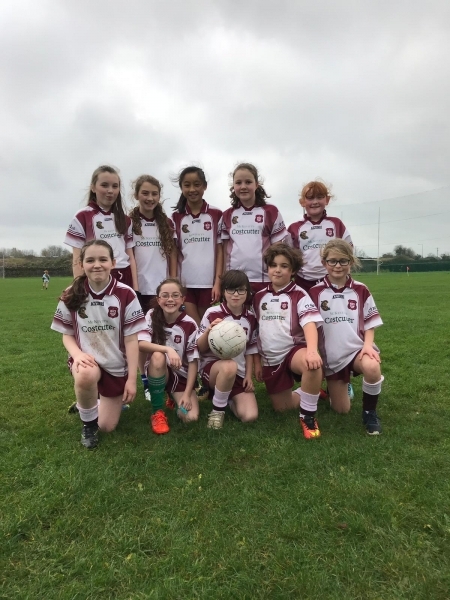 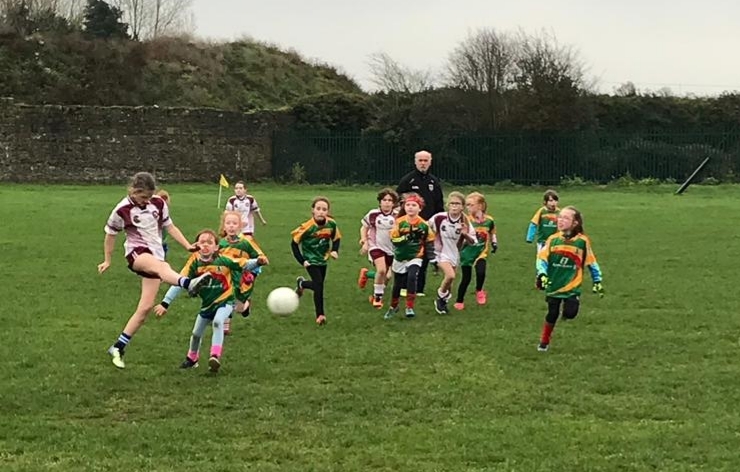 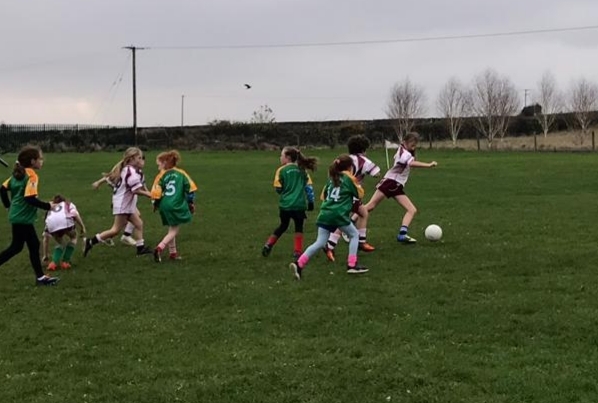 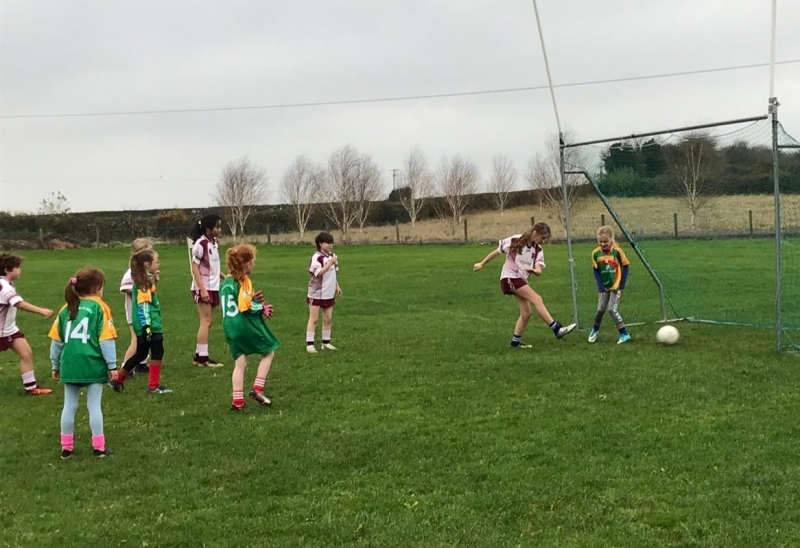 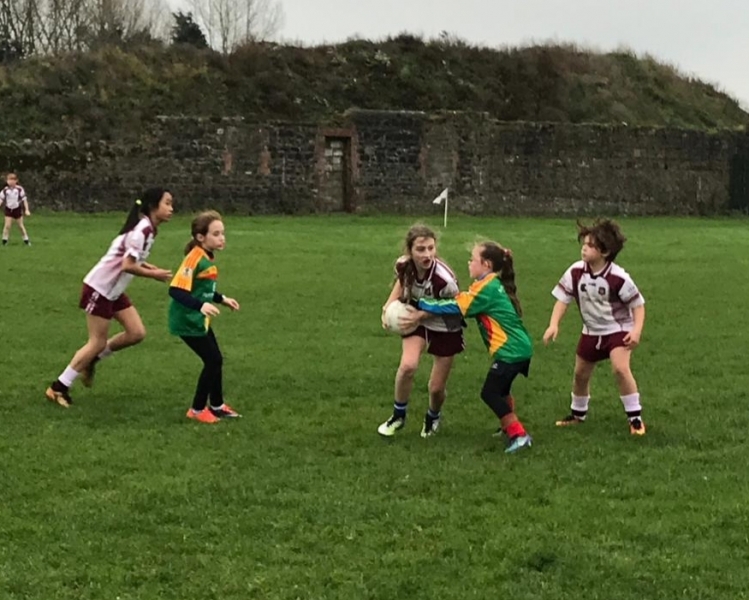 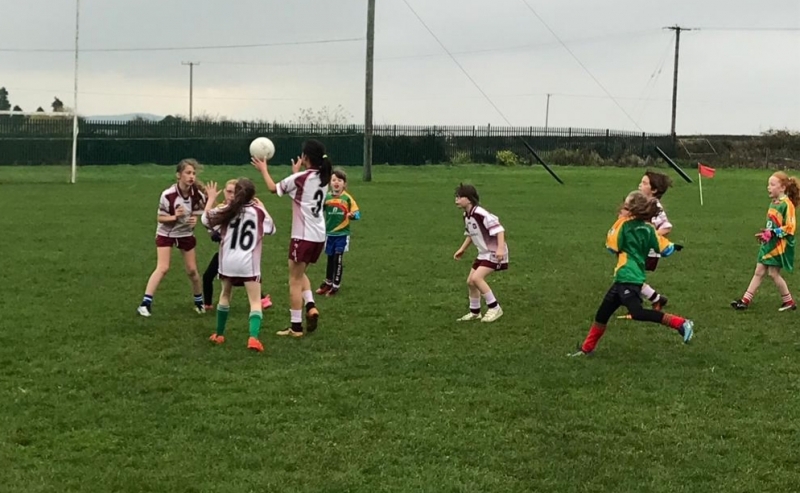 The football season came to an end recently with our U11 team competing in a blitz in Dúrlas Óg. 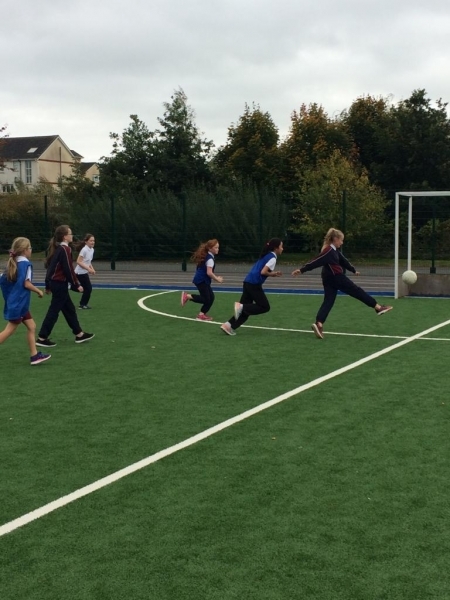 The girls were beaten in their first game but recovered well to beat Ayle NS in the second game. 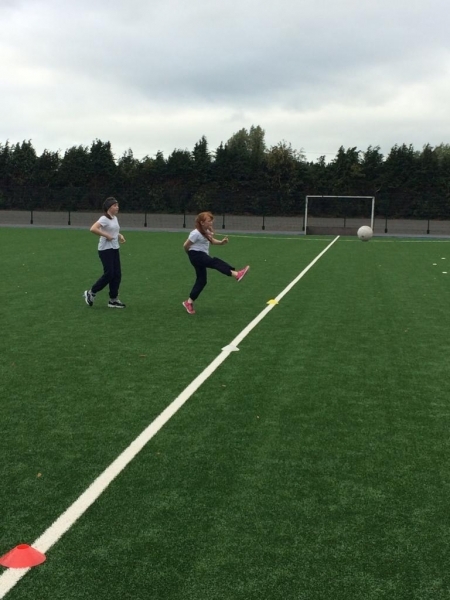 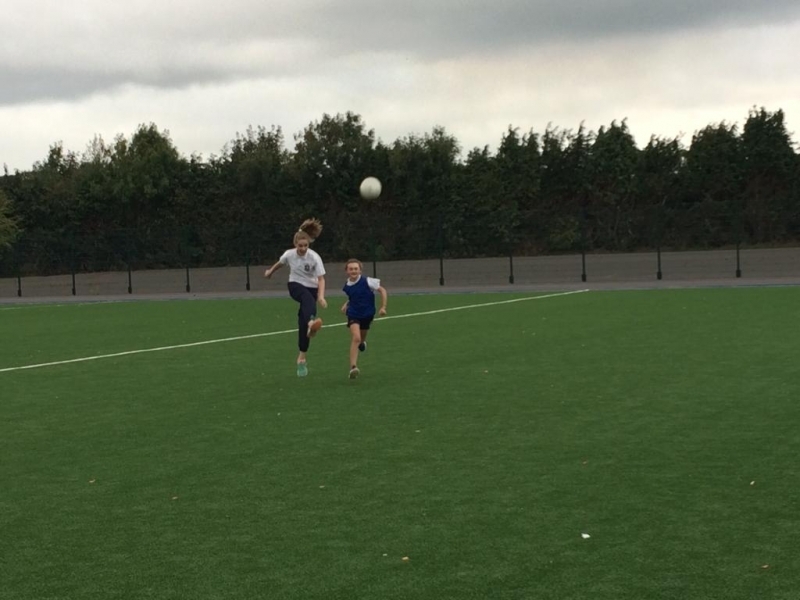 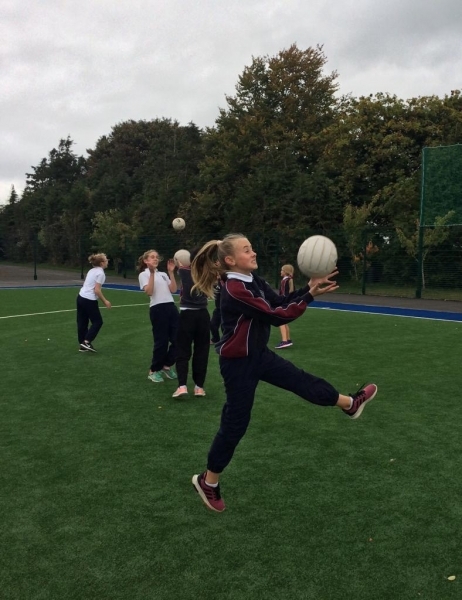 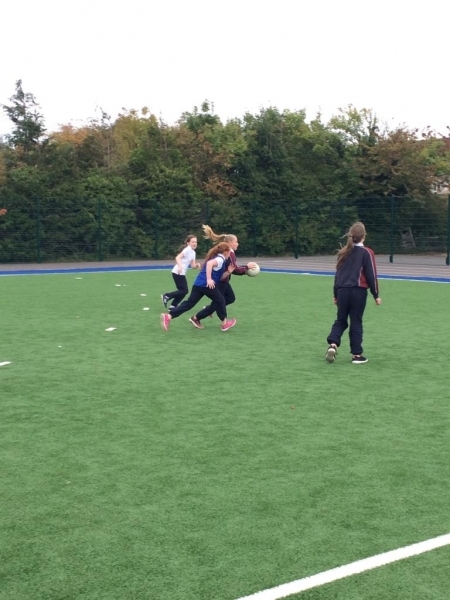 A big thank you to Ms. Ralph and Mr. O’Gorman who kindly trained and coached the girls for the past couple of months. 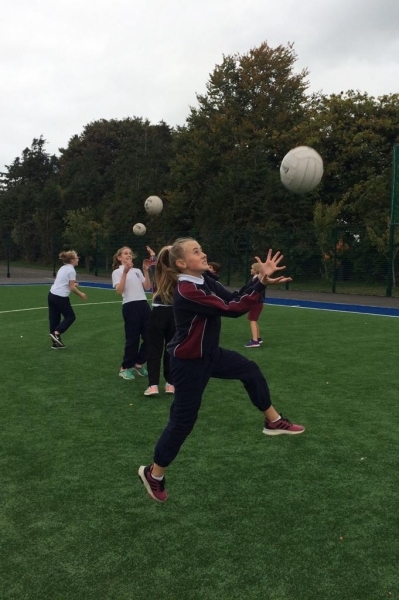 The sporting focus will now switch to basketball and we encourage all the girls to get involved. 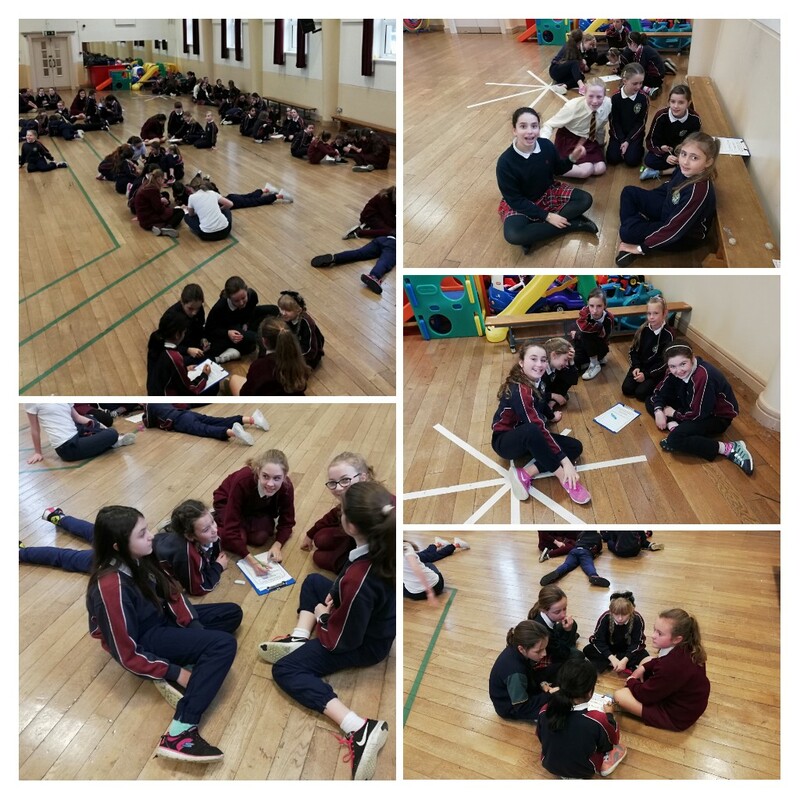 As part of Science Week 2018, the girls from 4th, 5th and 6th class were treated to a Science Quiz. Ms. Moore, Mrs. Healy and Ms. Healy organised the quiz and the girls really enjoyed the event. 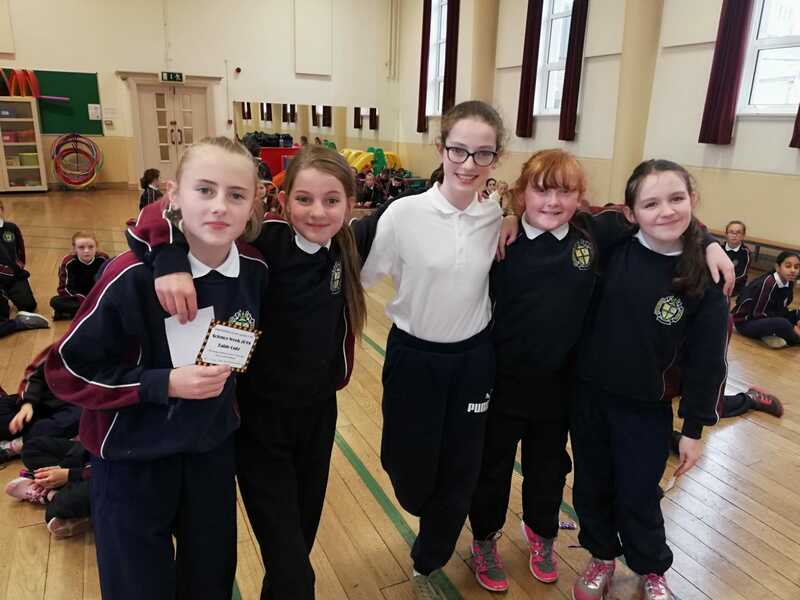 Well done to the winning team pictured below – future scientists! 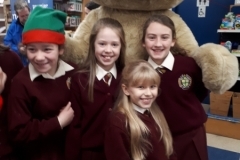 Mr. Kieran Healy has been appointed as principal of Presentation Primary School. 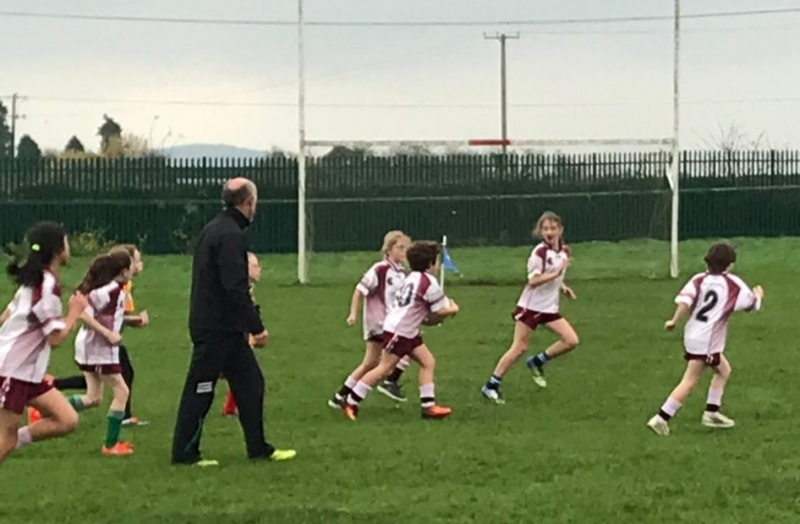 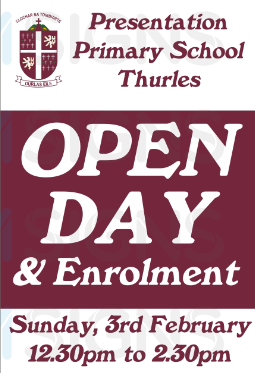 He will take up his new position on Monday 5th November as he moves from St. Colmcille’s PS, Templemore where he spent 12 years as principal.